Inevitably, someone close to us will pass their time on earth. When that time comes, you may be in charge of their funeral. Before that time comes, learn what you can do to make the process easier. Sudden or unexpected deaths will inevitably leave the finer details of funerals to you. If the end of the person’s life is foreseen, they may have some instructions ready for their loved ones to follow. 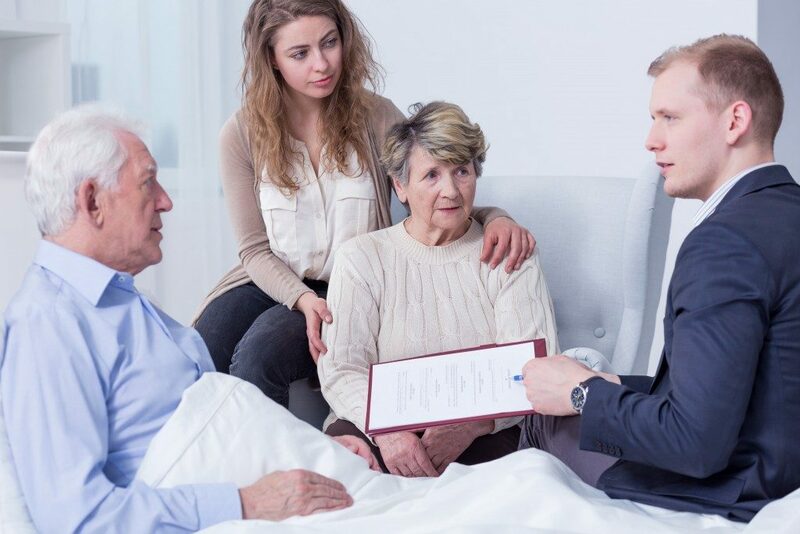 A few things people might prepare include last will and testaments, a ready plot of land for the burial, and Durable Power of Attorney for Health Care (DPOAHC) that will confer power over funeral arrangements to a specific person. Headstones can cost anywhere between $100 and $3,000, but markers constitute a small part of funeral expenses. Viewing and burial, transport and service fees, body care preparations, and miscellaneous expenses may add up to $9,000 depending on the service that a person prefers. Cremation services replace gravesite fees with the cost of converting the body into ash. Direct burials may skip the fees associated with viewings. Burials with viewings can be held at funeral homes, houses, or venues that mean a lot to the deceased and allow funerals. Nondeclinable fees include the basic services of a funeral home, which does not include the embalming process, aesthetics of the deceased, or transport of remains to the funeral home. Once you sort out the costs, it’s time to arrange the funeral itself. Choose whether the service will take place before or after the body’s burial or cremation, or at the graveside. Decide how long the wake will take place, if there will be events before and after the service and burial or cremation, and what level of participation will be expected of visitors. Informing the authorities of a person’s death is imperative. Sort out the death certificate of the deceased with a doctor, coroner, and funeral director. Multiple death certificates are required for various tasks. Reporting a person’s death will also allow the appropriate authorities to whom the deceased promised to donate their organs. On the personal side of things, it’s important to contact friends and relatives of the deceased to inform them of the death. Contact your cousins down at Forks or Bountiful, arrange discounted flights—airlines may offer services for the bereaved—for relatives abroad. Unless the deceased requested for a private ceremony with select people, inviting all who would mourn for the dead is the usual practice. During and after the funeral, take care of yourself by asking for help. If you’re arranging their funeral, there’s a high chance of the deceased being an important part of your life. Reaching out will not be a burden to your family or friends. Learn to depend on your support system for this period until you can stand on your feet again. Dealing with your feelings all by yourself is going to be more difficult for you and the people around you. Allowing others to share in your grief will also make it easier for them to express their own grief over the deceased. Don’t sweat the details while arranging the funeral either—what’s more important is getting the bigger picture right. Take breaks when you need it and remember that handling grief is an important part of life.